When you plan on booking a charter bus service for an event, you have to think about multiple different things, from the type of bus you need to the size of your group to the activities you’ll give people to do while they’re on the bus. But no matter what variables you’re considering, one of the most important factors to consider is the driving record and reputation of the driver. Here are some of the tips from our charter bus service in San Francisco for what constitutes a great bus driver. 1. Your charter service driver should make it feel safe to ride on the bus. A careful driver is someone who knows how to navigate the bus through city streets, freeways, country roads, narrow or tight quarters, pedestrian situations, and any other conceivable traffic scenario in a way feels safe to the passengers. Of course, this has common-sense limitations. If a child runs out in front of the bus and the driver has to slam on the brakes hard, it won’t “feel safe” to the passengers, even though it is the #1 safest thing to do at the time. Overall, though, your ride should be pleasant. 2. Your charter service driver should be personable and friendly. It goes without saying that your experience will be more wonderful overall if the driver is someone that you have a good rapport with. This is especially true on a long trip where you’re stuck in the vehicle for a long time. There’s nothing worse than not feeling comfortable to ask if the DVD can be changed or if the air conditioning can be adjusted to a warmer or cooler setting. On the other hand, if you can laugh and joke with your driver and just have a human connection with them, it can go a long way. Your driver should always feel like your ally, never like your adversary. 3. 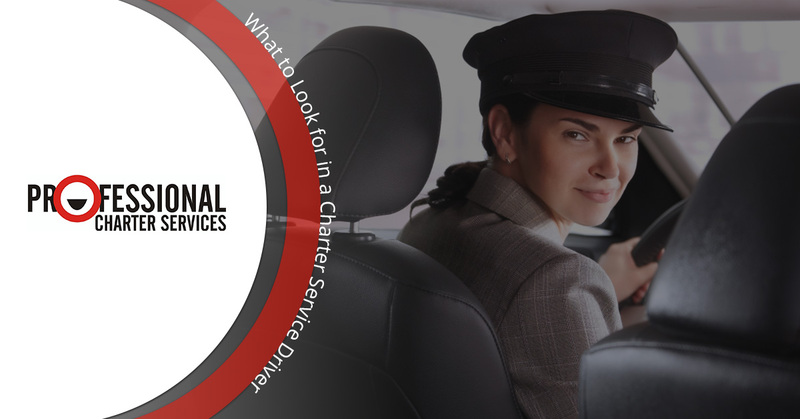 Your charter service driver should have a procedure for making sure no passenger is left behind. This is harder to do than you might expect. Think about it: Our charter bus drivers transport groups of all different types, and all the passengers are strangers to the driver. It’s one thing to transport a group of school children whose teachers know exactly how to account for each child, and it’s quite a different thing to transport a number of wedding guests, some of whom might be tipsy and have no clue who else needs to be on board. However, we know that one of the worst experiences for our customers is this exact possibility, so we make every effort to ensure that our procedures account for every passenger. 4. Your charter service driver should be able to clearly communicate with the group leader and the passengers about any unforeseen delays. No charter bus company ever wants to do anything other than arrive precisely on time (or even early). However, it isn’t possible to guarantee that the unforeseen will never happen. The things that can cause a delay range from traffic jams to breakdowns to a passenger inadvertently leaving an item behind at a stop and needing to turn around to retrieve it. Each situation will need to be handled individually, but one of the most important elements that must not be neglected is clear communication. No, communication can’t undo the situation, but it can ensure that you’re not in the dark. Here at Professional Charter Services, we offer charter bus rentals, as well as other transportation solutions for the San Francisco Bay area, from mini bus rentals to party buses and more. Contact us for your no-obligation quote today.